A multidisciplinary team of psychiatrists, psychologists, social workers, family therapists and professional counselors provides individual, family and group; psychiatric and psychological services; parental education; presentations and community consultation; and training for current and future mental health professionals. 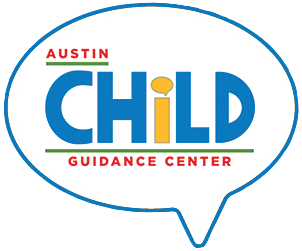 Austin Child Guidance Center adheres to nationally recognized standards as evidenced by our accreditation status with The Joint Commission and receiving a Gold Seal of Approval™. The Joint Commission is the nation’s leading accrediting body of health care organizations. We voluntarily chose to be reviewed by the Joint Commission because it stands for quality health care, and so do we. It sets high standards of care and evaluates health care organizations against over 1,500 standards. As the demand for greater accountability for quality and costs grow, it is more important than ever to have the quality distinction – Joint Commission Accreditation. Achieving accreditation makes a strong statement to the Austin community about our organization’s efforts to provide mental health services of the highest quality. Austin Child Guidance Center has held this accreditation since 1986. For more information about The Joint Commission visit their website. Founded in 1951, The Joint Commission seeks to continuously improve the safety and quality of care provided to the public through the provision of health care accreditation and related services that support performance improvement in health care organizations. The Joint Commission evaluates and accredits nearly 15,000 health care organizations and programs in the United States , including more than 8,000 hospitals and home care organizations, and more than 6,800 other health care organizations that provide long term care, assisted living, behavioral health care, laboratory and ambulatory care services. An independent, not-for-profit organization, The Joint Commission is the nation’s oldest and largest standards-setting and accrediting body in health care.